I’m blown away by the recognition of winning the Outstanding Author in Multicultural Romance 2015 with my book, Knowing Vera, a love story involving a disabled athlete. What an honor to be among such fantastic writers who are pushing the boundaries to tell the stories that need to be told. I’m inspired by Chimamanda Ngozi Adichie’s TED talk to ensure multiple stories for people of all cultural backgrounds. I appreciate the stories of all the people around me, and I love a good romance no matter the circumstances. Thank you, Angeline Bishop, and all the fabulous people who made this award possible. Last night The 2015 AMB Ovation Awards b.k.a. 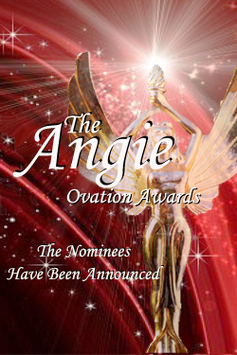 The Angie Winners were announced. Congrats to all of the winners and nominees.